The Mohun family had benefited by siding with King John, their closeness to those who ran the country paved the way for an advantageous marriage. 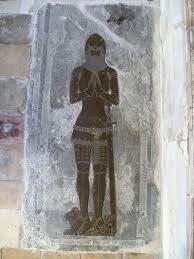 The Mohun's had as a family member and ally William Brewer who had himself flourished in royal service under King John. This new generation of Mohuns were born into a world that was being shaped by John's famous charter. If the story of King John losing the royal treasure in the murky, muddy waters of the Wash in Lincolnshire is to be believed, then the royal crown of England still lies there today, in reality, whether this crown of England was lost, stolen or sold, in 1220, Henry III of England was crowned for the second time, with a brand new shiny one. With a new and young king on the throne, the populous looked forward to a monarch governing the country with a fair, but firm hand. However, by 1237 his reign was being undermined by many of his powerful barons. The troubles that had begun in the reign of King Stephen, had continued to rumbling on, although controlled under Henry II, had soon flared up once more under his father King John. Henry, as did previous monarchs regularly used council meetings to discuss affairs of state, in Henry’s reign these meeting resulted in the early formation of an English Parliament. 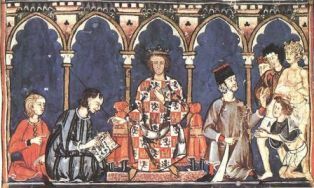 During the thirteenth century these assemblies were always summoned by the king and generally he consulted only a small council, but by requiring the wealthy barons to help govern, Henry strengthened their powers and in time they came to call themselves the Great Council. These men grew to think that the king must consult the council and when decisions were made without their consultation they developed a sense of being excluded from the work of government in which they felt entitled to participate. By the end of 1264 James Audley replaced his brother in law, Peter de Montfort, (no relation to Simon) as Constable of both Bridgnorth and Shrewsbury Castles. He spent much of his time, as did his father, arbitrating between the English lords and the Welsh and was appointed one of the royalist members of the council of fifteen appointed to advise Henry in accordance with the provisions of Oxford. A year later he witnessed, as James of Altithel, the king's confirmation of the council's powers on the 18th of October 1258. 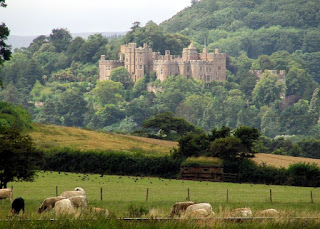 James Audley had married Ela, the granddaughter of William Longspree, the acknowledge illegitimate son of Henry II, but their relationship was not a happy one, and this may have been one reason why my ancestor, Alice Mohun, became Audley's mistress and the mother to his son James. 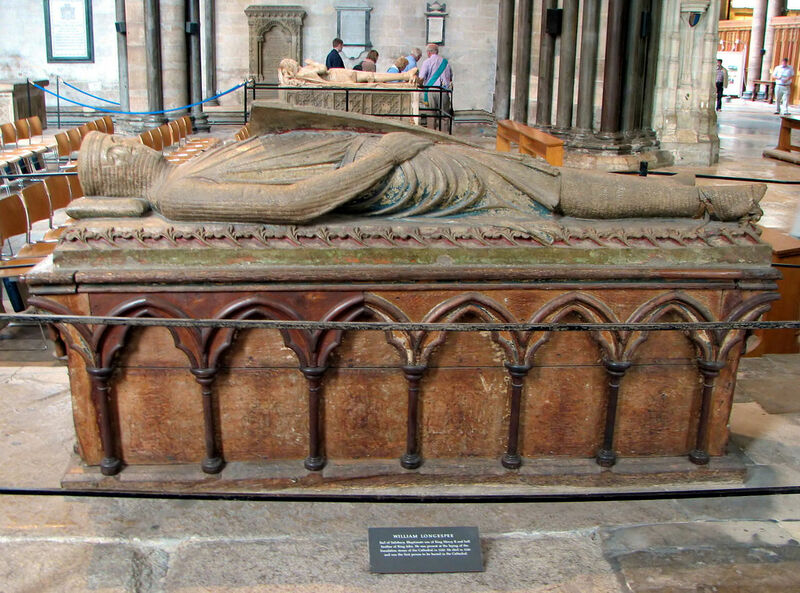 In 1237, Alice's first husband had died and it was not until 1245 that she remarried. That year, James Audley had witnessed a Charter issued by Alice’s father confirming the Soke of Mohun in Westminster to Alice and Robert Beauchamp and it maybe that it was in connection with this Alice had met Audley. 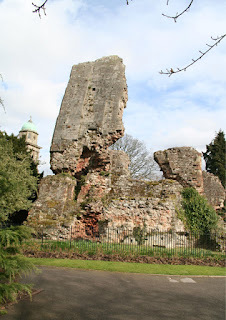 The images below are of the remains of Bridgnorth Castle and the tomb of the William Longspree, the great grandfather of Alice's son James. 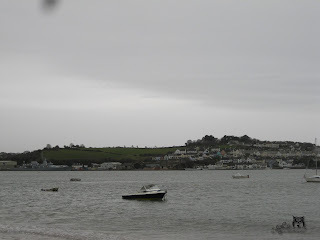 Little did I know, when I stayed in the Devon village of Instow this time last year, that from my hotel bedroom I would be looking across the River Torridge toward the suggested site of the second biggest punch up of the 1060's. 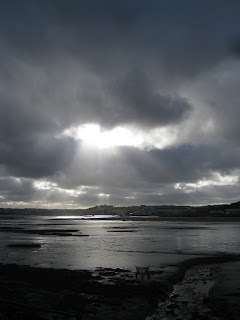 From my photographs, you can see these fields behind the famous Appledore Shipyard. 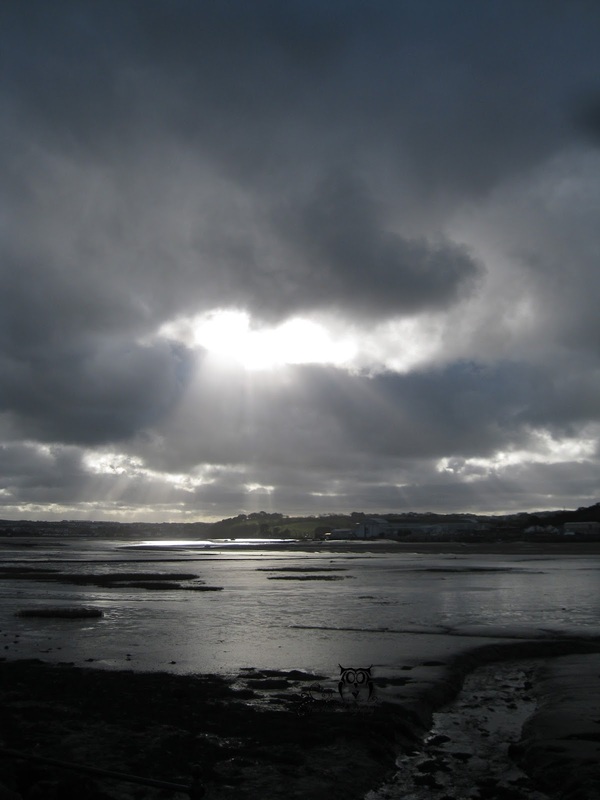 It has been claimed today that the fields between the Devon villages of Appledore and Northam is the site of what could be called a rematch between the sons of King Harold and the Norman conquerors. "played host to the bloody battle of 1069." 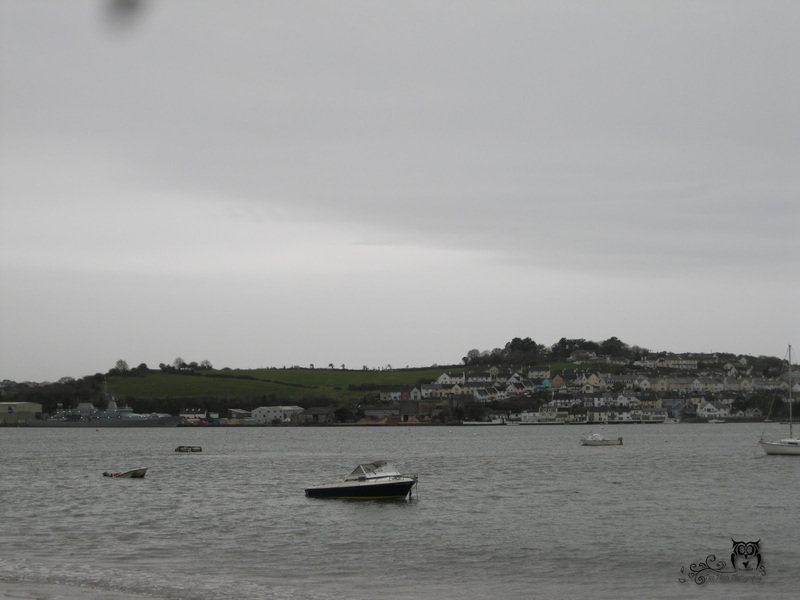 ....."More than 3,000 people died in the resulting clash, Mr Arnold said, after 64 longships "crammed with armed men" led by Godwine and Edmund arrived at Appledore on 26 June 1069. Their army, which arrived from Ireland, met a fighting force made up of Normans, Bretons and English. 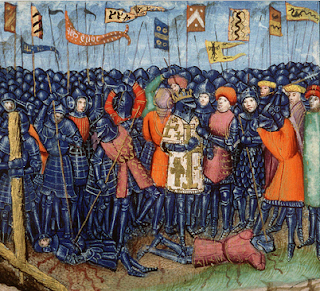 They were met and roundly defeated by forces led by Brian of Brittany in a day-long battle. The showdown settled once and for all who would rule England"
A research paper will be republished by the Battlefields Trust. I will be looking forward to reading it. As the working week draws to a close and the skies over Karihaes Castle begin to fade to grey, Lady Karihaes busies herself lighting fires and candles, for Sir Renaud has promised that he will spend the evening at home with her rather than at their local, the Pig and Whistle, with his friends. She is looking forward to partaking in a glass or two of wine, munching on a few nibbles and reading the latest edition of the Medieval Woman and in particular an article entitled The Middle Ages: A New Era for Hats, while Sir Renaud browses though the new seasons plant catalogue. 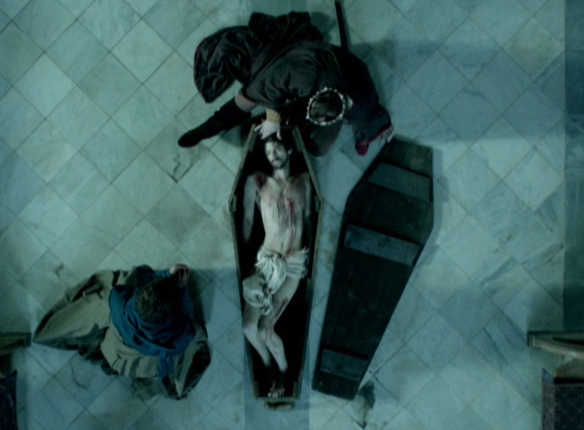 February 13th 1400 is traditionally thought to be the date of death of Richard II. 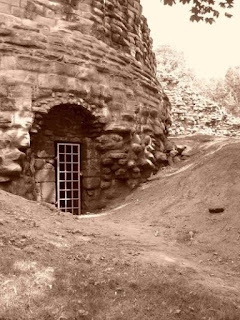 in the bowels of Ponitfract Castle in Yorkshire, supposedly by starvation, was murder. And just as Henry Tudor did, nearly eighty five years in the future, Henry Bolingbroke would have to work hard to prove that he was the rightful king and not a usurper who had taken the throne illegally. Peasant Revolt, but followed this great achievement with extravagances and favouritism, all of which alienated a number of high ranking lords. Contrary to what we have been forced to believe, medieval women were effective administrators and fierce defenders of their property, doing what ever was necessary to protect the rights of their offspring. Alice Mohun, the last in the line of my Mohun ancestors, was just such a woman. Alice, was the mistress of James Audley, Marcher Lord and one of the council of fifteen men nominated by the Provisions of Oxford. Audley had granted Alice the land and rights of the manor of Horseheath in Cambridgeshire, but on his death in 1272, Alice was forced to fight Audley's legitimate children's claim on the estate in court. 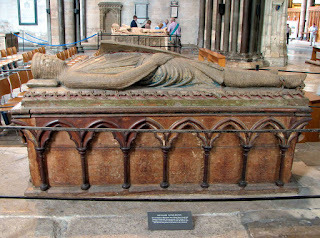 It was not until 1278 that she finally received the lands, but on her sons death in 1286 it was lost and reverted to James Audley's youngest son Hugh. However, by 1313 it had reverted back to Alice's grandson James and on his death to his son William Audley, whose memorial brass you can see below. 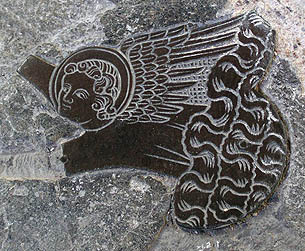 As you can see, nearly all of the figure of William remains, but much of the surrounding decoration is long gone, apart that is, from a cute little angel appearing out of a cloud. 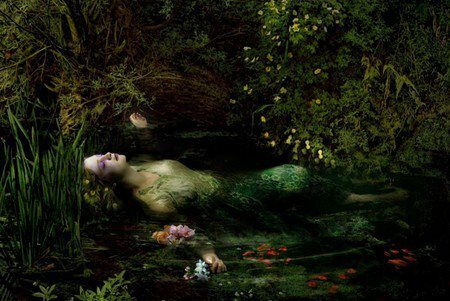 A mistress Alice may have been, but she saw to it that her child received his share of his fathers estate. If Richard, Duke of Gloucester's initial intention was to execute Anthony Rivers, Richard Grey and Thomas Vaughan, after arresting them at Stoney Stratford in 1483, why not send them straight to Pontefract Castle instead of holding them separately for over eight weeks in three different castles? Sheriff Hutton, Middleham Castle and Pontefract Castle ..........Why? "There are those who believe that Vaughan, Rivers and Grey were not granted a trial and were murdered on a direct order of Gloucester......."
Two armies met not too far from Wigmore at Mortimers Cross, in Herefordshire, and it was in this battle that the future king would give those around him a glimpse of man he was set to be. 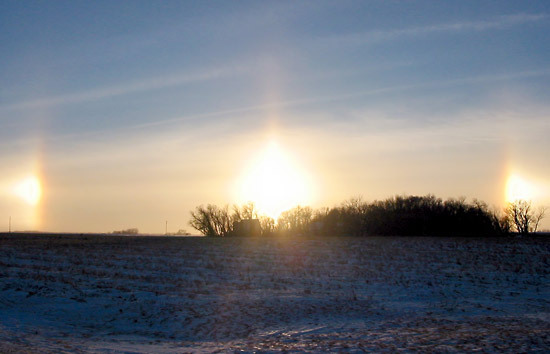 The appearance in the sky the night before the battle of a Parhelion was, to Edward, a visual representation of the Holy Trinity and that God was on his side. It has been said of Edward that he was not particularly superstitious, but his men were and Edward possessed the presence of mind to use the three bright suns to his advantage. Edward would show he possessed courage and the military skill as well as intelligence. The low born Welsh man from Monmouth that was Thomas Vaughan has interested me for over twenty years, ever since the day I discovered that he belonged, albeit by marriage, in my maternal family tree. His marriage to Eleanor Browne affected the life of number of my ancestors including his step daughter Kathrine Browne and most certainly that of her brother George.